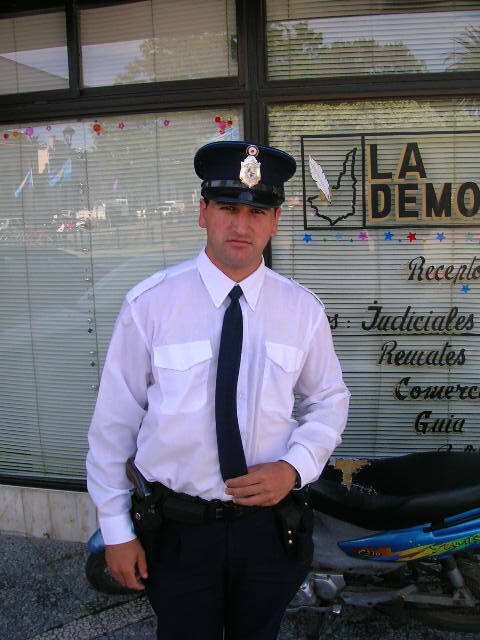 I took this picture of Uruguay Policeman picture in Maldonado Uruguay. There were plenty of police wherever I went. Uruguay is fairly safe and if you follow along with newsletters Like International Living you will know that this beautiful Country in South America is in the top 6 places for expats to move to in the world. While having a conversation with a local, he commented that for every police officer I see in Uruguay, there are 3 that are undercover. If you want to see more pictures of Uruguay, just click in the picture below and you will go the our Uruguay Travel Pictures Page. I hope you enjoy looking at them as much as I did while exploring Uruguay.